You are viewing a list of Jama Williamson's 1 appearance on Brooklyn Nine-Nine. With the crime rate lowered, Brooklyn will be shutting down one of its precincts - permanently. 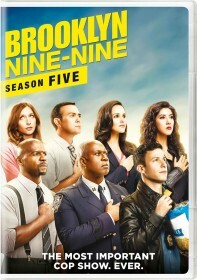 The Nine-Nine is confident they will be evaluated fairly, until the official auditor turns out to be Amy's ex-boyfriend, Teddy. The whole squad then must band together to try to save the precinct.